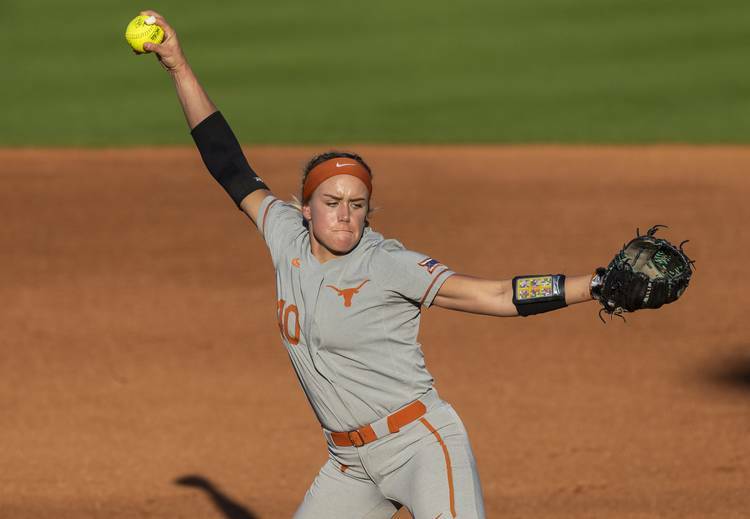 After shutting down one of the nation’s top offenses, Texas pitcher Miranda Elish was once again recognized by the Big 12. 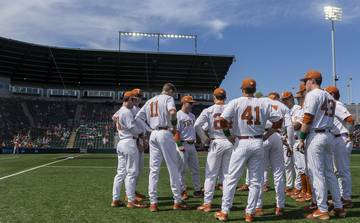 Elish was named the Big 12’s pitcher of the week on Tuesday. 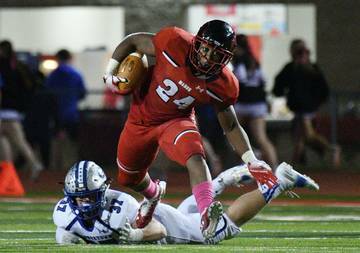 This is the second time in a three-week span that Elish has won this award. Blaire Luna, a four-time recipient in 2013, had been the last Longhorn to earn this weekly honor twice in one season. 🥎 Clifton: had a hit in every game this weekend to match a career-long hitting streak of eight games. 🥎 Elish: went 2-0 against the Lady Raiders with a perfect 0.00 ERA, two solo shutouts and 15 strikeouts. 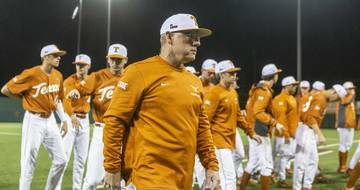 Texas took two of the three games it played at No. 15 Texas Tech this past weekend, and Elish was the pitcher of record in both wins. Over two shutouts, Elish registered 15 strikeouts. 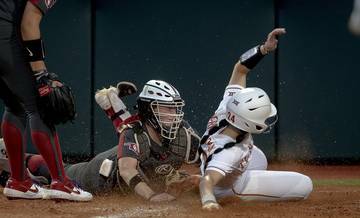 A Texas Tech team that currently ranks 11th nationally with its .332 batting average mustered seven hits against Elish. 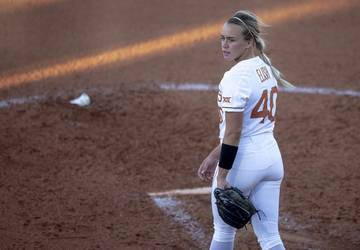 Over her 104 1/3 innings this season, Elish is 11-5 with a 1.48 ERA, 152 strikeouts and 35 walks. 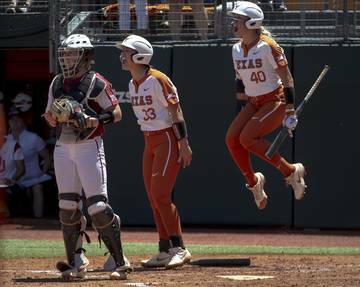 Elish ranks second on UT’s offense with her .357 batting average, but opponents are hitting just .148 off her. 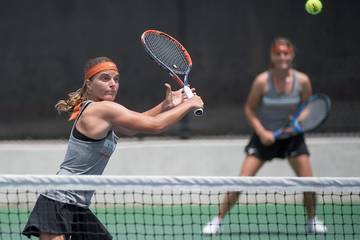 A junior, Elish transferred to Texas this year after spending the last two years at Oregon. 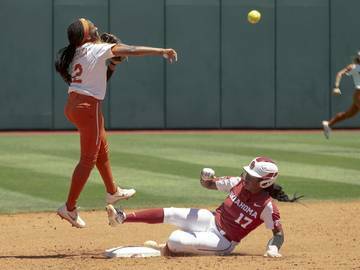 Ranked 11th in the NFCA poll, Texas has only Wednesday’s home game against Houston on this week’s schedule. The following weekend, No. 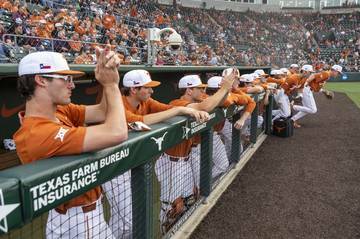 2 Oklahoma will travel to Austin for a three-game series.